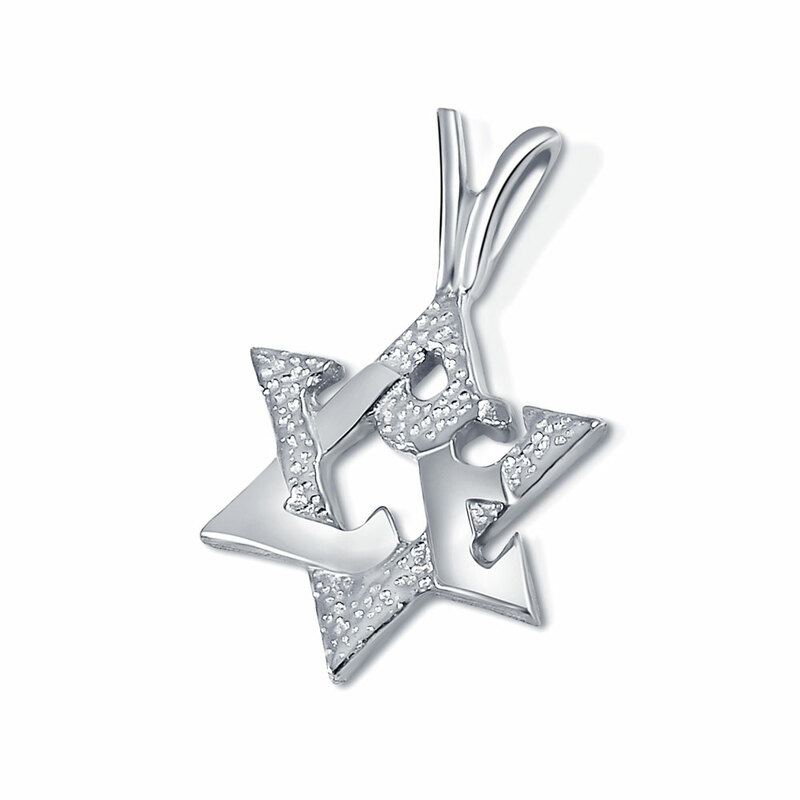 Sterling Silver Star of David Pendant artistically designed with in a way that spells the word "Love". A petite Jewish star with a bold expression. 12mm H x 11mm W (.47 x .43 inch). (Measurement doesn't include the loop). To order a chain along with this pendant, see the options below.